BSides wouldn't exist without the help of our sponsors! While large mainstream conferences tend to focus on the current hot topics in information security industry, BSides events explore the fringe of conversation and focus on what could be the next big thing. ​Sponsoring enables you to engage that conversation! 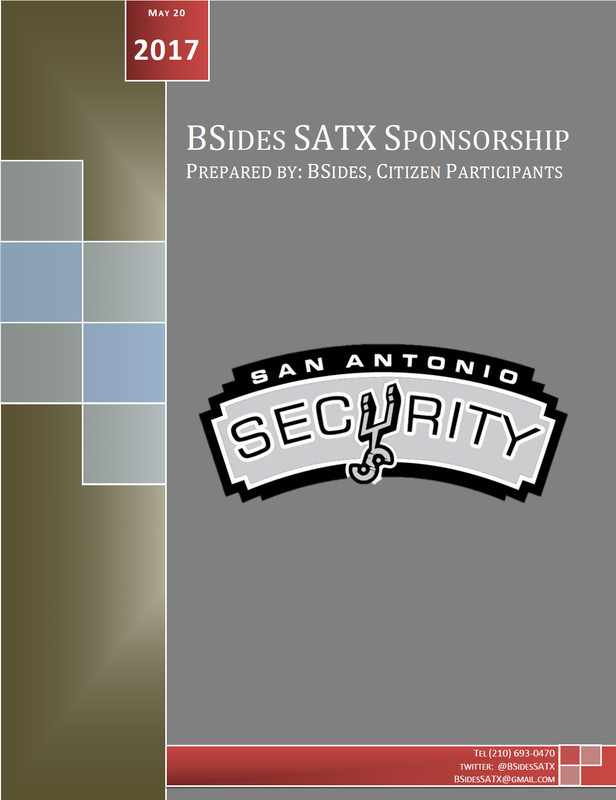 The package on this page contains sponsorship information for BSidesSATX for 2017. This year we've changed a tiered sponsorship model. Thank you for your consideration. We value your participation at this and other Security BSides events. Of course, the greatest benefit is that of giving back to the community and enabling others to grow and learn. Please do not hesitate to contact us if you have any questions or requests.